Selamat Datang! That is how a Malaysian would welcome you to his or her home. This is an introduction to food and culture in Malaysia, with recommendations for basic cooking tools and ingredients. There is also a typical Malaysian menu for a dinner party featuring several easy-to-prepare recipes. Malay food is strong, spicy and aromatic, combining the rich tastes of the many herbs and spices commonly found in Southeast Asia. 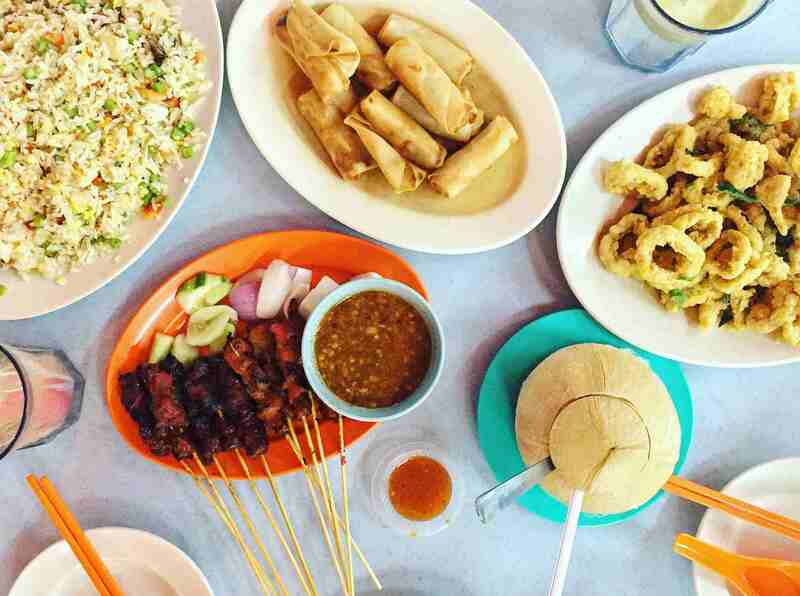 It is one of three major cuisines in Malaysia, and together with Chinese and Indian food, continually delight visitors to the country with its incredible variety and flavors. Herbs and spices are the basis of Southeast Asian cooking, so it is a good idea to stock up your pantry with the different herbs and spices that are called into use all the time. Many of these ingredients can be easily found in your local Chinatowns and, often, even in local supermarkets. Come and check out some basic cooking equipment that will make preparing a Malaysian meal that much easier. However, if you do not have some of the cooking tools shown here, you can always improvise with whatever you have and with a bit of practice, the recipes should turn out just as nice. This is one of many combinations for a successful Malaysian dinner party. I have chosen this particular menu as most of these dishes can be prepared way beforehand, needing only to be warmed up when it is time to eat.